Ham Radio Is "Related" to Caching? Really? How is ham radio "related" to caching? It's combined with GPS in the forum. That doesn't fly - two separate topics. They use radios to discuss caching. Okay, then cell phones should have their own thread under "related topics." And why talk caching on a ham radio - to roast reviewers without a thread being shut down?! A few caches use radio signals. One in 100,000, maybe. Not even shortwave, probably. I read of a cache at a ski resort. Is skiing a "related topic"? Hey, you can discuss caching in the lodge. Now they're discussing how to combine ham radio with caching - in other words, they're not sure it can be done. It's time for the radical move of shifting ham radio to off topic. Who pissed in your Wheaties? Or do you just go looking for things to get upset about? That's got to be a sad way of life. 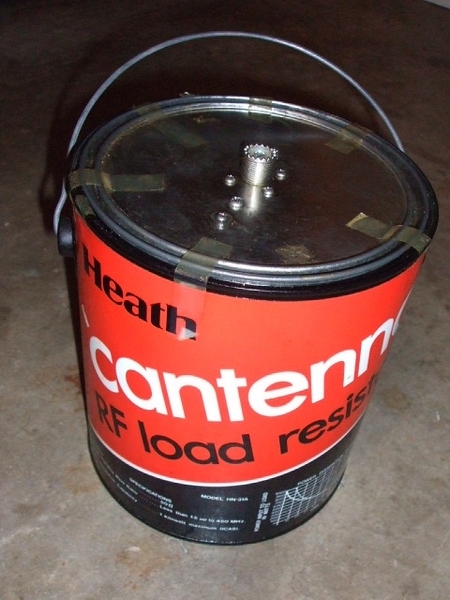 HAM Radio operators talk into a paint can. That's gotta be related. He thinks that he is funny. Ham Radio, my GPSr, and my toaster all use electrons to provide something with a modicum of usefulness. Hmmm.....not to get personal, but a lot of your forum threads and posts are "critiques." I'm doing like you -challenging the status quo! That needs to be done occasionally. Right, and there is no "toaster thread" under "related topics." Good point. My point is this. Ham radio should be moved from "related topics" to "off topic." It's that simple. Threads get moved all the time. This oversight has existed for a while. Well, there is no Off Topic section, just the forum itself, so there is no place to move it. After taking a look, I think you are correct though, why is it there? One thread with over 2000 posts of people introducing themselves, talking about antennas and FCC exams? Then a measly 5 post thread that talks about geocaching? I guess you could say that it's a place for geocachers to discuss ham radio, but I personally would like to discuss NASCAR. Can we have a forum for geocachers that like to discuss NASCAR? When I went to my last race I found a cache in the parking lot, then I set a waypoint to my car and after the race, I was like the 10th car out of the lot while the other 40,000 people were still wandering around looking for their cars. 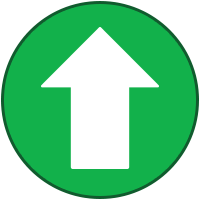 They recently "streamlined" the forums by merging the Feature Request and Bug Report forums into the Web Site forum. I guess the "streamliner" didn't scroll all the way to the bottom. "Related topics" is a strange beast. It's more of a catchall for things that don't go elsewhere. Off Topic is under Related Topics. So is benchmarking and EarthCaches. And the link to Clayjar's Chat room. Somethings are more geocaching related, other are GPS related, and still other are only marginally connect with either geocaching or GPS. In the early days of Geocaching there were two existing groups who were among the early adopters of geocaching. It was their interest either in hiking and backpacking or in electronics and satellites that brought them to this brand new activity. Members of these groups routinely started threads discussing issues in their respective area they felt has some relevance to geocaching. After awhile of getting lots of thread on these topics in the general forum, Groundspeak decide to give these groups their own subforums. Over time these forums were reorganize and these sections ended up under the related topics. These groups are no longer that big of a part of the overall geocaching community. Today it would probably make more sense to have a Social Media section to discuss the relation of Facebook and Twitter to geocaching. There may be some general interest in the topics discuss under hiking and backpack when it comes to someone wanting to find caches that require long hikes and overnight stays, but this really doesn't justify a separate hiking/backpacking forum. What is more likely is that these sections exist fir historic reasons and whenever there has been an attempt to move them or combine them with some other section, there is a lot of pushback from the communities that still use them. Moving to the appropriate forum. Case in point - things get moved around! I figured there might be some historical reasons for the arrangements. I'm definitely not saying any forum, thread, interest group, etc. should be scrapped, just that the placement of the forum was odd. Yep, but it belongs in the Web Site forum, as it is suggesting changes to the web site. I still want my Geocaching and NASCAR forum. Yep, but it belongs in the Web Site forum, as it is suggesting changes to the web site.I still want my Geocaching and NASCAR forum. Maybe it will get moved again, bounced like a ping-pong ball or tossed like a hot potato. Guess you could start a NASCAR thread (off topic). Nice - we need more creative stuff like this! I see many ways amateur radio and geocaching can be combined. It's unfortunate the discussion rate in this forum section between fellow hams is somewhat low. My guess is if the section had more discussions, this topic may not have been launched. I do however find it interesting as it was mentioned in the early days that two primary groups found interest in geocaching (hiking/backpacking and electronics/satellite enthuasists). If I look at these two forum sections I see Hiking and Backpacking have a total of 95 topics with 2432 replies. Amateur Radio has 568 topics with 8281 replies. So beyond the four visible threads, there have been discussions taking place with regards to how amateur radio can be used with the geocaching hobby. Of course, I'm not saying that ALL 568 topics and 8281 replies are completely on subject. But this is the nature of any forum. If you explore the older threads you'll see discussions about combining SOTA with geocaching, Foxcaches, a discussion about a ham radio themed TB and much more. The content is there to consume. In addition, I'll say this. I've seen dedicated forum sections for geocaching on amateur radio forums. Naturally, the amount of discussion in these threads is a smaller percentage of the total forum discussions. I'm not saying this justifies the need for this section here. But I guess what I'm trying to say is the combining of geocaching and amateur radio does in fact exist outside of the GC.com forums. So I believe it's justified here as well. Again, I just wish the level of discussion activity was higher. By the way, yes I'm a ham and I'm a geocacher. I use my amateur radio callsign as my geocacher name. Thanks for the comments. Again, I'm not trying to "squelch" or "attenuate" the ham radio "crosstalk." I only asked why it was listed under "related topics" rather than "off-topic." The historical background is the main reason, I guess. Not long ago, Hiking and Backpacking was eliminated from the forums and all of it's topics were relocated to several spots... Mostly to the general Geocaching discussions and a few to regional forums. When there was a bit of a upset, the H&P forum was returned to where it is now... mostly empty though since no one had time to relocate the missing topics. I had some time and went back a couple of years basically to 2008 and suggested topics that I participated in and thought useful. Some of the others joined in as well. I can assure you that there are many others that I am sure were in the original forum, but again time runs thin some time... I left them for people who created them and care enough to suggest them for moving back. The mechanism is there, but it might need oiling. There have been a bunch of new topics added and the forum is still alive and perhaps growing. Did my part. As for here in the Ham forum... well it goes back to 2002 or so maybe earlier. More years and more topics and replies of course. Like most forums, there are many 'duplicate' topics almost on rotation. Nothing new there. If there is a weakness to this one it's that people start something and then vanish. As a Ham you will be aware that like Geocaching lately, there is an influx of new people in the pastime and that many are about as technical as required to twist knobs and press the talk button. That is about the best comparison to make. And one big relationship between the two pastimes. I should mention that many hams simply hit the prime topic and then go back to other forums... the GPS and Tech is well represented with hams. If this forum is in trouble, it would be due to things fizzling out since things get either too techy or too blah for most. I've tried to keep things interested here by participating, but I'm mid way savvy at best. I like RDF, APRS since the early versions in DOS, and have been playing with ways to use radio to Geocache for everyone. No real luck there yet, but still trying. I will continue to do so. As for the OP, wmpastor... well you are discussing Ham radio and Geocaching as well, are you not? That is relavence for you. Good or bad. But you are right, we must either use it or lose it. BTW there... 10 codes are even being phased out by police and other ES groups as being time wasters. Hams don't use them, SAR discourages them strongly, never on Air and many other bands... They used to serve a purpose until they became individually modified to various 'in house' uses, now the same code may mean many things to different groups. In a time of interoperability, such as disaster drills, that can be bad. Also, the Hams I know would not ever say 10-4 even if they did use them... WE know how to do the math.. that would be 6 much easier to say. Harder to visualize, but then we have a neat ROGER to say if we want to. Besides where would we be without a Geocaching lexicon / jargon list. I am involved in search and rescue, but I'm also a hiker, geocacher, and ham radio operator. I always take my radio with me ..... should I become injured myself or come across someone in distress in an area with out cell service, I can summon help. So yes.. geocaching and ham radio can be combined.